I thought this was a remarkable book. 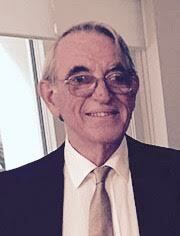 Kerry Egan is a graduate of Harvard Divinity School who now works as a hospice chaplain in South Carolina. The publisher says the book falls in the categories of Religion, Philosophy and Alternate Therapies. Well, what I read was straightforward, mainstream, clinical hospice/palliative care – a very readable tour-de-force on the spiritual care, be it religious or not religious, of the dying and their families. The book is a collection of stories from the patients she has looked after, together with insightful interpretations of the possible meanings of what she is hearing, as well as some advice about management. There is also a sprinkling from her own psychotic illness (consequent upon an emergency anesthetic given when she was pregnant), which serves to strengthen her interpretations of what is going on with the dying. The book is about all the work that a hospice chaplain does. I don’t think I needed convincing, but as one of Egan’s friends said to her, ‘So you just sit there and try to love them? This is a real job?’ There is the understanding of all the stories and secrets, the shame and guilt. Dealing with regrets and unfulfilled wishes. How do you respond when patients tell you of happenings or occurrences that challenge coincidence? The one I liked was about the three sisters who asked their mother to give them a sign that she was OK after she died. ‘Each of them, separated by thousands of miles, opens up her mailbox the day after her death, and a butterfly flies out.’ Then there are the visions and visitations, the apparitions, the appearance of angels – what they may tell you about that person as well as how to deal with them. I learned about pareidolia. I do not think a comparison with the other book relating to spiritual matters reviewed this month (Murphy and Whorton (eds.) Chaplaincy in Hospice and Palliative Care – see separate review) is necessary. Chaplaincy is about the meaning and philosophy of being a palliative care chaplain, rather than about delivering spiritual care. However, reading Chaplaincy, which I described as a little dry and heavy, made me appreciate Egan’s book more. Her pen portraits are very good, whether she’s describing someone who is happy, depressed, demented or utterly outrageous. Some of the recollections of clinical encounters are ‘warts and all’ with a few swear words here and there. Her descriptions are very real and very readable. Given the overlapping of roles in the palliative care team, we all have some responsibility to be cognizant about spiritual care. I thought this book provided a very good coverage of the practicalities of clinical spiritual care, and I would warmly recommend it to anyone who works in palliative care, who I think will both enjoy reading it and be better off for it. I enjoyed reading this book. It is essentially about how medicine is best practiced, in contrast to what is happening with modern healthcare provision. I was not completely comfortable with her use of the term ‘Slow’, because on the surface it implies only a different speed rather than all the constitutive differences between her practice of good medicine and what is happening with modern healthcare provision. But I agreed with just about everything she had to say. The book starts with the story of her elderly father’s near-fatal admission to hospital following a seizure. Although he had had seizures in the past, it was wrongly listed as being his first and he was labeled as ‘a probable stroke’. It seems nobody took the time to take a history or examine him properly, and the day-to-day medical care he received was disjointed and superficial; nobody was able (or could be bothered) to correct the inaccuracies enshrined in the electronic medical record. So he spent several days tranquilized, catheterized, starved and physically restrained until she managed to get him discharged. Sweet says she decided to do medicine because she wanted to be a Jungian psychotherapist, but she ended up training and specializing in internal medicine. 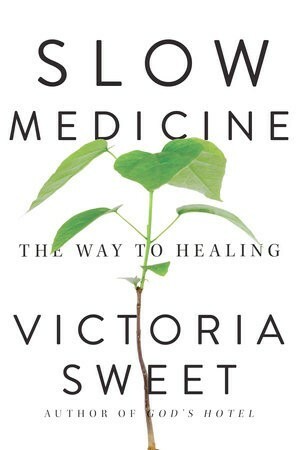 As the book unfolds, she recounts experiences that shaped her views on how to practice medicine, which evolve over time to the concept of ‘Slow Medicine.’ She also discusses her increasing problems with modern healthcare provision, including the time she worked at Laguna Honda Hospital that is chronicled in God’s Hotel (reviewed in the October Newsletter). And then there is modern healthcare provision, about which she has little good to say. She recalls the Head of District with whom she had to work when she was a part-time medical director, who could only talk about healthcare providers and healthcare consumers. It’s ‘as if we were producing healthcare on an assembly line according to management’s protocols – time clocks, quality assurance measures, electronic health records, complete quality control’ – but Getting the Right Diagnosis is not important enough to be included. Sweet concludes that the Head of District had not had the experience of getting sick on the way to Damascus and being subject to his own healthcare production machine. She talks about the relentless progression of the medical administration bureaucracy and recalls that whilst staff were being laid off and others leaving in frustration, ‘more and more administrators arrived to oversee us.’ I have to admit that I had not heard of the movement aiming to discredit or even ban the physical examination as not ‘evidence based’, not ‘objective’. But it left me speechless. I felt parts of the book were medically quite detailed and the doctor in me had to sit up and pay attention to follow some of her descriptions of pathophysiology and the results of investigations; but judging its suitability for a lay audience is not my brief. However, if you work in palliative care, you will feel an immediate empathy with this book, for she is exploring the ways and means of providing the best possible medical care for the patient in front of you, with an emphasis on the whole person, and ignoring all the wishes and dictates of the administrators who drive modern healthcare provision. Good stuff! Review copy supplied by Footprint Books. This is an edited collection of reflections from 29 palliative care chaplains and other professionals from Great Britain and Ireland. It is divided into three parts. Part I is Locating the Work of Palliative Care Chaplaincy. There have been significant changes in palliative care chaplaincy since Dame Cicely opened St. Christopher’s 50 years ago. It is argued that hospices provide that sacred space (not necessarily to do with a particular religious belief), and that there is a strong case for palliative care chaplaincy. The chapter Many Faiths, No Faith addresses the issues related to the continuing cultural and spiritual changes in society. Part II is about theological issues as they relate to palliative care chaplaincy. The last part – Who Are We? 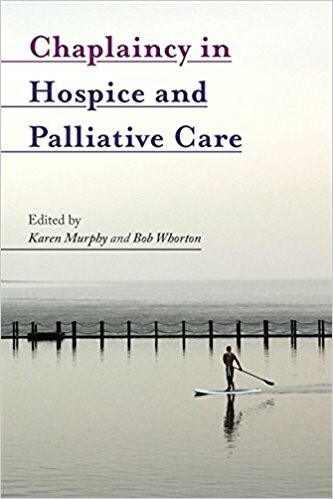 – deals with the work of palliative care chaplains and how it has evolved, what challenges they face (both now and in the future), how they are regarded by patients and by other members of the palliative care team and, indeed, how they view themselves. This book is more about the role of being a palliative care chaplain rather than about the spiritual care for people with terminal illness. 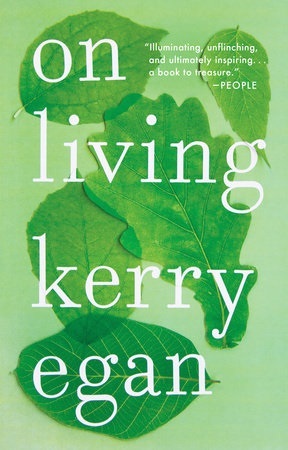 I don’t think a comparison with Kerry Egan’s On Living (see separate review) is warranted, as Egan’s book is about patients and spiritual care and not the philosophical basis of palliative care chaplaincy. That said, and whilst respecting informed opinion, I did find Chaplaincy a bit dry and heavy to read. The present book will be of interest to palliative care chaplains and to anyone else who works in palliative care and has an interest in spiritual matters. This is a seriously impressive publication that provides a detailed and timely picture of the current status of palliative care in Africa. The amount of information that has been retrieved is enormous, but it is made readily accessible by the use of 19 Africa-specific palliative care indicators that provide an assessment of the development and effective implementation of palliative care programs. The first 13 maps provide continent-wide information on various aspects of palliative care services and education. It would seem that there has been significant progress since I last thought about palliative care in Africa, although there were still a lot of grey areas on the maps – indicating no services or no information. In terms of the conveyance of information, I thought the cartography was excellent. The second part consists of 48 country-specific sections, with the information again set out according to the Africa-specific indicators of palliative care. The information is clearly depicted in both words and diagrammatically, allowing you to get clear information quickly and facilitating comparisons between countries. If you want to know anything about palliative care in Africa, this book would be a good place to start. 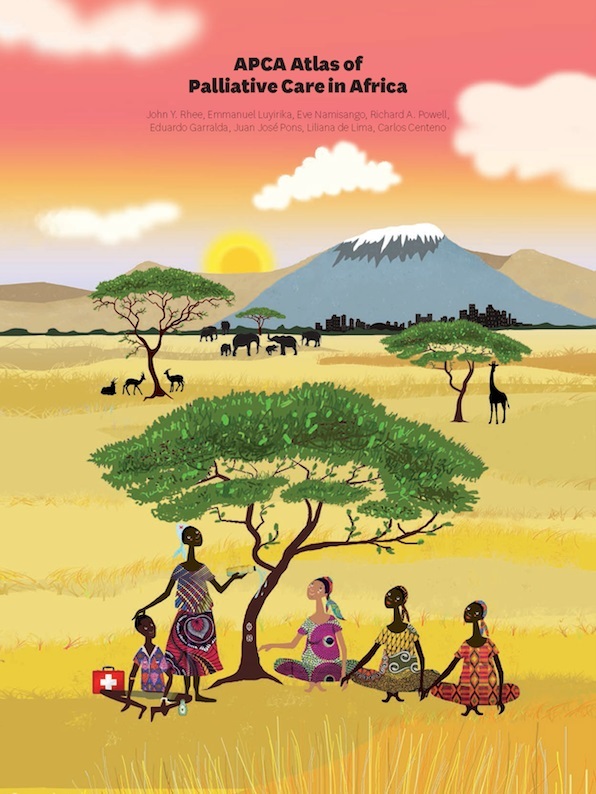 And if you happen to be considering an atlas about palliative care in your part of the world, then there are a number of features in this African Atlas that are worth emulating. 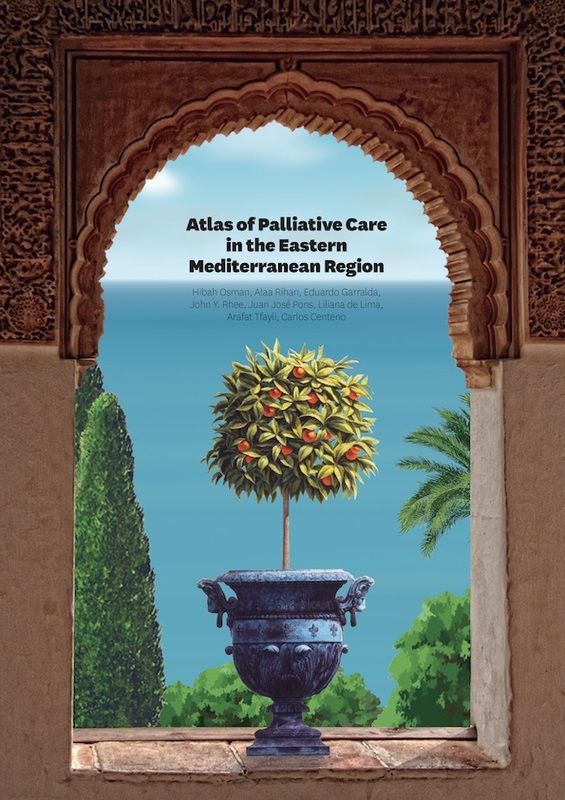 This atlas of palliative care focuses on the Eastern Mediterranean region, but the area covered extends east to include Iran and Pakistan, and west to include Tunisia and Morocco; it wasn’t clear to me why Turkey was not included. The first section provides region-wide information according to a number of indicators of palliative care. The second section comprises 15 country-specific reports. As with the African Atlas, the information has been carefully categorized so that it is possible to get a meaningful picture at a glance, and making comparisons between countries is easy. If you want information about the status of the development of palliative care in this region, or more particularly in the countries specifically mentioned, I think you would have to go a long way to find a better source. This is a collection of twelve essays regarding various ethical aspects of hospice and palliative care. It was first published by Routledge in 2016, but is a reprint of the book originally produced by The Haworth Press in 1997. 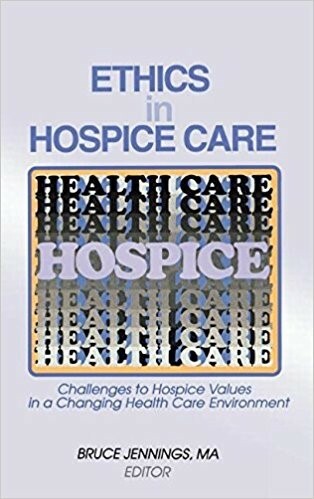 The essays in this book were originally commissioned for The Hastings Center project on Ethical and Policy Issues in Hospice Care. I found the individual papers were well written and concise. Some of the topics covered are just as important today as they were back then; with others, one is able to reflect on what has happened in the last 20 years. If you have an interest in ethical matters to do with hospice and palliative care, you will enjoy reading this. You can buy the books on this review page through the AmazonSmile store. Through its Smile shop, Amazon donates a portion of your purchase to IAHPC at no additional cost to you. When you shop at AmazonSmile you will find the exact same low prices and selection as Amazon.com, and you will be supporting IAHPC in its mission to advance hospice and palliative care globally.